Dweezil meets Rachel Flowers at NAMM 2015 ! 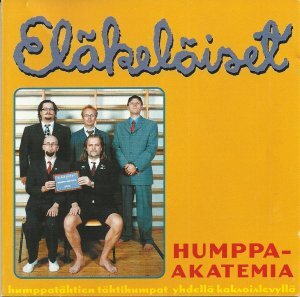 1997 saw the release of Elakelaiset's "Humppa Till We Die 2000" album. It included a Finnish humppa version Frank Zappa's 'Bobby Brown'. The "Humppa-Akatemia" compilation album also included this track. As you might have imagined, the humppa version of Zappa's 'Bobby Brown' is called 'Humppasusi Ruotsissa'. My first encounter with Z.E.R.O. 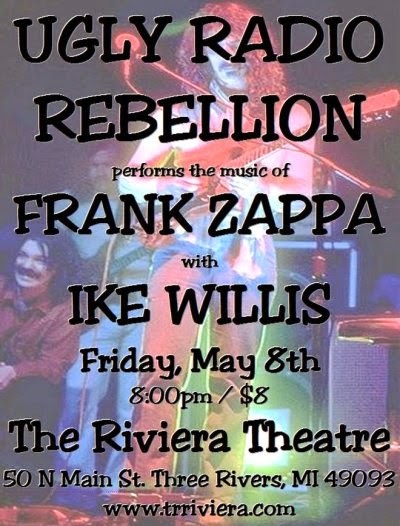 (the Zappa Early Renaissance Orchestra) dates back to 2014 when I heard their contribution to "Rare Episodes", an album that got compiled by Andrew Greenaway and that presented various bands and ensembles performing a number of rather obscure Frank Zappa compositions. Z.E.R.O. had added 'Variant #1" to the album, on guitar and ukulele. A friendly encounter it was. We're one year later now and the Zappa Early Renaissance Orchestra has released a full album. Their first. And it's out on Cordelia Records. The CD i entitled "Money? What Money? ", and Kevin Crosby and Rupert Kettle (the dynamic duo behind ZERO) did a great job. "Money? What Money?" features an impressive bunch of musicians. Two of the most amazing ones are Juliana Brandon and Kevin's collegue from Pojama People, Alli Bach. Both add some fine vocals to a number of tracks. Also noteworthy (understatement !!) is the presence of Prairie Prince, drummer (and painter) who has recorded with The Tubes, Tom Waits and Phil Lesh ! Fine arrangements, great musicianship and funny as well. Lack of time (the Force has me working in the garden and stuff...) had me talking about this release way too briefly. In 1977, the LAFMS = Los Angeles Free Music Society released the first of two vinyl albums that collected experimental music. This first album had artwork by Don Van Vliet and Ace Farren Ford and included music by Smegma and The Residents to name two. The second album (from 1980) was a 2LP set. Also with Don Van Vliet artwork and even more strange and beautiful music. Last year, Ace Farren Ford and the Transparency label decided that time was right to continue the series. This time on CD. 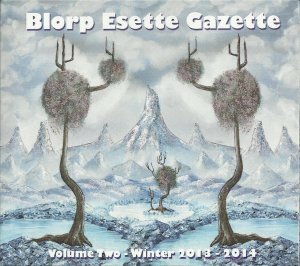 Volume two includes contributions by Ju Suk Reet Meate (performing Donnie Vliet's 'Sugar n' Spikes'), Smegma, Skip Heller (!! ), Rick Potts, Clown Car, the late Electric Bill Robinson and many more. The liner notes include extra info on the artists! If I'm not mistaken, I mentioned this excellent re-release about two weeks ago.Spacy midnight funk, soul and disco. Includes the Zappa-written 'Dirty Love' and the Andre 'Mandre' Lewis / Johnny Guitar Watson collaboration 'Masked Marauder'. Mandre was a group that Andre Lewis started in 1977 as a continuation of the gospel/soul group "Maxayn" which was named after the lead singer Maxayn Lewis, Andre's wife. 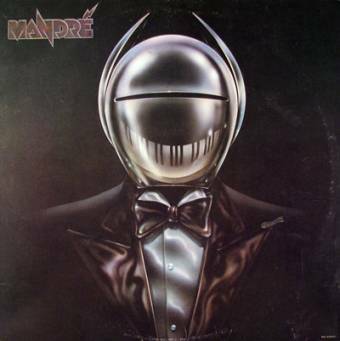 While the Maxayn group had been playing gospel and soul with Maxayn Lewis on lead vocals, the Mandre group was Andre's project to add electronic elements and also shift the sound toward more spacey funk and disco. Andre also played keyboards for Frank Zappa, Buddy Miles, LaBelle, Earth Wind and Fire, Huey Lewis, Edwin Starr, Charles Wilson and the Gap Band, Sly Stone, Bobby Womack, Johnny Guitar Watson and a handful of others. He was also a tester of Roland products and was one of the first musicians to record with the infamous Roland TR-808 drum machine. 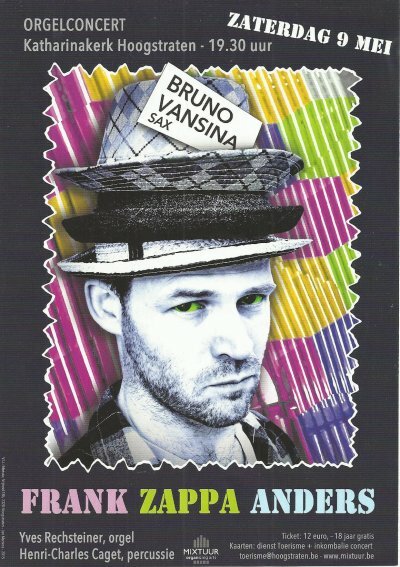 Hans (Gruppo Sportivo) Vandenburg's Rubbers Of Prevention band did a couple of Zappa tribute concerts in 1996 / 1997. April 25, 2015, Rachel Flowers sat in with the Zappa Plays Zappa band during their concert at the 'Brooklyn Bowl' in Las Vegas. I just heard that the upcoming Zappa Plays Zappa gig in Utrecht, NL, (next October) is sold-out ! 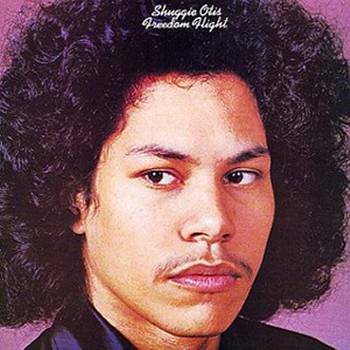 Shuggie Otis played bass on Zappa's 'Peaches En Regalia'. His second solo album, "Freedom Flight", is being re-released on the Music On Vinyl label. Guitar player and composer Phi Yaan-Zek has a new album out. With a trio. Check out the latest Dweezil Zappa update on his new album !! THE RESIDENTS – Would we be alive? In this brand new episode of RandyLand Randy explains the future of The Residents and what will happen now that Charles Bobuck has retired from touring. 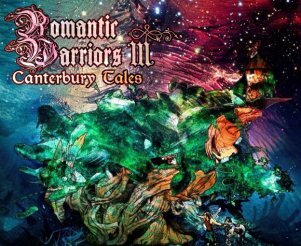 Check it out on bandcamp ! Physical release will be out in a couple of weeks! Upcoming screenings of the documentary about The Residents, and more !! 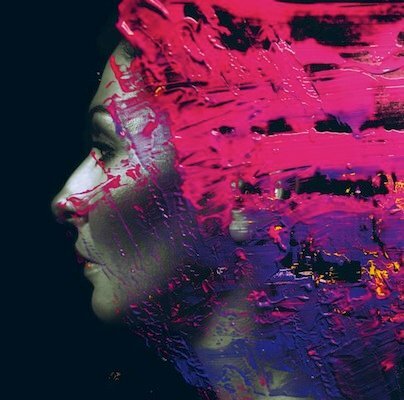 Steven Wilson's excellent "Hand.Cannot.Erase." album is something you should definitely check out. The album features Marco Minnemann on drums and Guthrie Govan on guitar. Chad Wackerman also drums on one track. The album comes in quite a number of different versions. From a regular CD to luxurious book with the CD, a second CD with demos, a DVD and a Blu-Ray with the music in different formats and lots of bonus material. 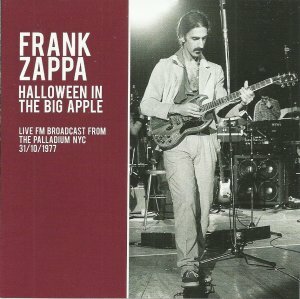 Sutra records released a part of Frank Zappa's October 31, 1977 concert at the Palladium. A great band, doing a great concert. Taken from a radio broadcast; unauthorised by the Zappa Family Trust. Maybe, next to "Joe's Corsage", "Joe's Camouflage", etceteras, the ZFT should start a "Joe's Radio Shows" collection, releasing all of these FM-broadcasts themselves. And if they don't have or can't get the original tapes, I'm sure the Zappateers would like to help them out. Warner Brothers / Rhino Records is re-releasing Captain Beefheart's "Trout Mask Replica". American band Good God recorded Frank Zappa's 'King Kong' and released it on their 1972 album. 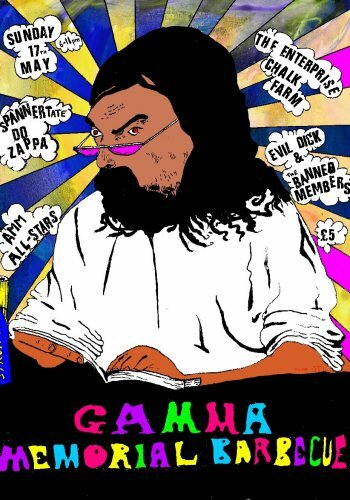 = a belated wake for Gamma, Zappa freak and a fascinating personality. pye hastings & geoffrey richardson, (caravan) dirk "mont" campbell (uriel, egg, national health), brian hopper, (wilde flowers, zobe), david sinclair (caravan, hatfield and the north), bill maccormick (matching mole, quiet sun), robert jan stips (supersister), didier malherbe (gong) phil miller (delivery, hatfield and the north, national health, in cahoots), roy babbington (nucleus, delivery, soft machine), john etheridge (soft machine), didier thibault (moving gelatine plates), patrick forgas (forgas), benoit moerlen (gong, pierre moerlen's gong, mike oldfield's band, gongzilla), theo travis (soft machine legacy, steven wilson), david newhouse (the muffins), richard sinclair (caravan, hatfield & the north, caravan of dreams), and daevid allen (gong, university of errors). 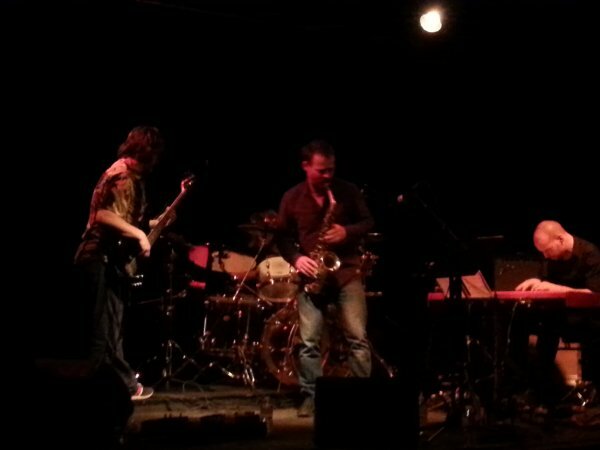 Pierre Vervloesem's Simple did a concert in Antwerp last Saturday. The concert took place at 'Het Bos'. It was pretty dark, standing room only, loud and late, but an excellent gig. I was glad to catch it. Next to various concerts (Elko Blijweert + Frans Van Isacker, Chaos Of The Haunted Spire plus Jurgen Desmet, Pierre Vervloesem and Dries Delahaye), the Rat Records label will be presenting a (new) vinyl release by Chaos Of The Haunted Spire !! Later tonight (from 20h00 to 22h00) German Rockradio will focus on the recent Moo-Ah! festival. If everything goes well, host Steffen Schindler will be talking to / skyping with Kevin Crosby (of the Z.E.R.O. 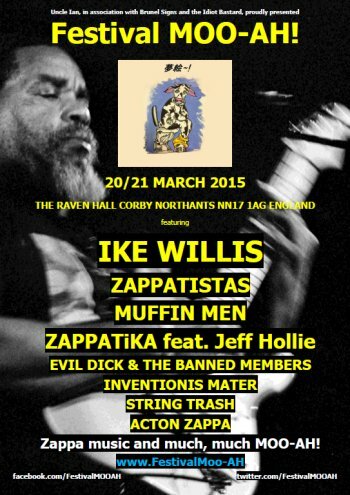 ensemble) and with The Muffin Men. Organised by Belgian national radio: "Frank Zappa Anders", a concert that will put the spotlight on the music of Frank Zappa. With Yves Rechsteiner (church organ), Henri-Charles Caget (percussion) and special guest Bruno Vansino (sax). May 9, 2015, at the Katharina Church in Hoogstraten, Belgium. Andre Lewis performed and recorded with Frank Zappa and Johnny Guitar Watson to name two. He also recorded four solo albums as Mandre. His first album, the eponymous one, got released in 1977 and included Andre's take on FZ's 'Dirty Love'. The album just got re-released on CD by the Fever Dream record label. Eddie Jobson celebrated his 40 years of making music with a concert in Tokyo, Japan, in April 2011. Next to Alex Machacek (guitar), Ric Fierabracci (bass) and Marco Minnemann (drums) who are part of his band, Eddie Jobson had invited Sonja Kristina, John Wetton and Aaron Lippert. An incredible concert and performance. 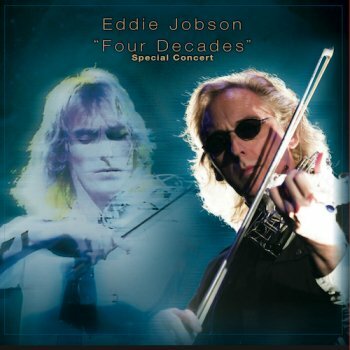 Eddie Jobson does indeed have something to celebrate as he performed and recorded with Curved Air, Roxy Music, Frank Zappa, Jethro Tull, Yes, UK and UKZ. The concert included an excellent rendition of Frank Zappa's 'Lather' ! Released on video and on audio in one breathtaking box. Pretty expensive if you want to get it out of Japan, but worth considering. 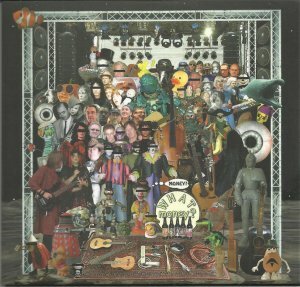 In 1995, the Italian Splasc(h) Records label released "Riccardo Fassi Tankio Band Plays The Music Of Frank Zappa", a record that should be a part of every Frank Zappa record collection. 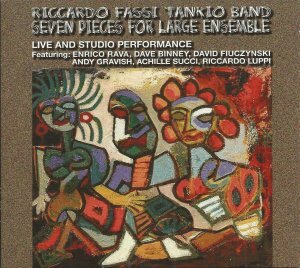 The Splasc(h) label added an interesting companion to this album in 2007 : "Seven Pieces For Large Ensemble", a disc that collects various live and studio recordings from 1999 until 2005. Next to the superb 'Frank (R.Fassi) / Eat That Question (F.Zappa) / I'm The Slime (F.Zappa)' medley, the album also includes a beautiful 'Uncle Meat'. Both of these recordings were made at the 1999 Tivoli Jazz Festival. Here's an audience recorded live fragment from 1997. 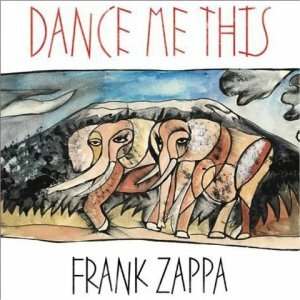 From the WHEN of Ever, we are pleased to bring you in this 75th year in the Life and Times of Frank Zappa, the 100th Album in the Official Discography, Dance Me This. An extreme case of east meets East, this was originally conceived as a Work for modern dance. It is the last title FZ finished in 1993 along with Trance-Fusion; the last chapter in his Master Work, Civilization, Phase III; and of course, The Rage & The Fury, The Music of Edgard Varèse.